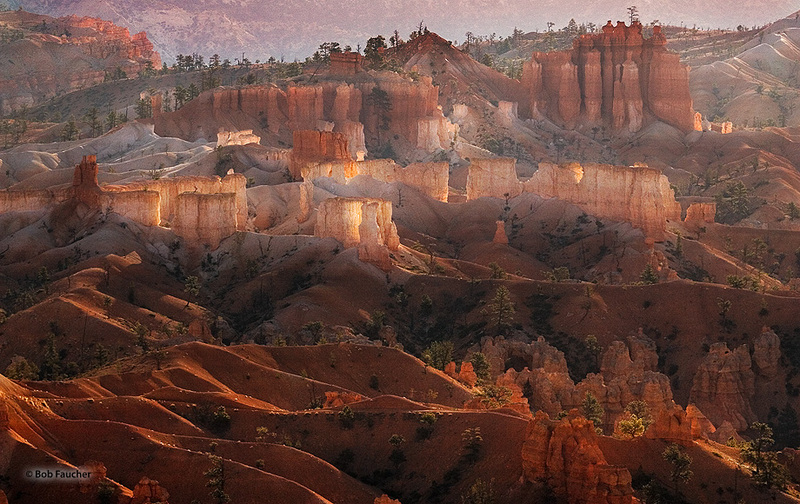 Sunrise lights up the hoodoos, the quintessential feature of Bryce Canyon, as viewed from across the canyon at Sunset Point. This particular formation appeared to me as a small, sleeping, medieval walled-village, just waking up in the early morning with the castle in the background, to the right. Photo © copyright by Robert Faucher.